There are many indicators that the name Cassouto may be of Jewish origin, emanating from the Jewish communities of Spain and Portugal. When the Romans conquered the Jewish nation in 70 CE, much of the Jewish population was sent into exile throughout the Roman Empire. Many were sent to the Iberian Peninsula. The approximately 750,000 Jews living in Spain in the year 1492 were banished from the country by royal decree of Ferdinand and Isabella. The Jews of Portugal, were banished several years later. Reprieve from the banishment decrees was promised to those Jews who converted to Catholicism. 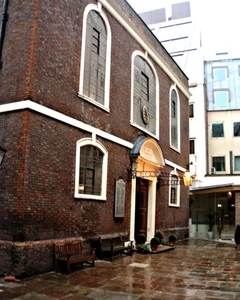 Though some converted by choice, most of these New-Christian converts were called CONVERSOS or MARRANOS (a derogatory term for converts meaning pigs in Spanish), ANUSIM (meaning "coerced ones" in Hebrew) and CRYPTO-JEWS, as they secretly continued to practice the tenets of the Jewish faith. In this work Dan Rottenberg shows how to do a successful search for probing the memories of living relatives, by examining marriage licenses, gravestones, ship passenger lists, naturalization records, birth and death certificates, and other public documents, and by looking for clues in family traditions and customs. Supplementing the "how to" instructions is a guide to some 8,000 Jewish family names, giving the origins of the names, sources of information about each family, and the names of related families whose histories have been recorded. 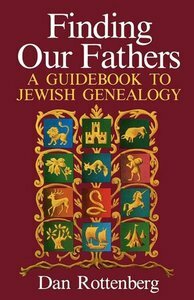 Other features included a country-by-country guide to tracing Jewish ancestors abroad, a list of Jewish family history books, and a guide to researching genealogy. 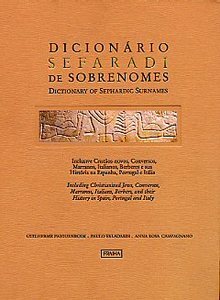 A bilingual (Portugese/English)reference book of Sephardic surnames. Includes New Christians, Conversos, Crypto-Jews (Marranos), Italians, Berbers and their history in Spain, Portugal and Italy. Contains over 16,000 surnames presented under 12000 entries, with hundreds of rare photographs, family shields and illustrations.It also contains a 72-page summary of Sephardic history, before and after the expulsion from Spain and Portugal, as well as a 40-page linguistic essay about Sephardic names, including an interesting list of the 250 most frequent Sephardic surnames. The period covered by the dictionary is of 600 years, from the 14th to the 20th century, and the area covered includes Spain and Portugal, France, Italy, Holland, England, Germany, Balkans, Central and Eastern Europe, the former Ottoman Empire, Morocco, Algeria, Tunisia, Libya, Egypt, Iraq, Yemen, Syria, Lebanon, Israel, North America, Central America and the Caribbean, South America and more. Dov Cohen has created an index of brides and grooms based on the organization of Ketubot (Jewish wedding contracts) from marriages within the Turkish community of Izmir. From this material we can identify the Jewish families who lived in Turkey since the Spanish expulsion in 1492 in two periods: the end of the Ottoman Empire and the beginning of the secular government of Turkish Republic. Events of these periods forced this community to emigrate to America. 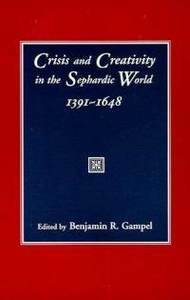 Crisis and Creativity in the Sephardic World | 1391-1648,edited by Gampel. This book explores antecedents,causes, mechanics and aftermath of the 1492 expulsion from Spain and lists Sephardic movers and shakers during the period. The Sephardic community of Hamburg was founded by Portuguese conversos who had settled in the Hamburg area during the three decades prior to 1611. Pere Bonnin, a philosopher, journalist and writer from Sa Pobla (Mallorca), a descendant of converted Jews, settles with this work a debt "owed to his ancestors", in his own words. 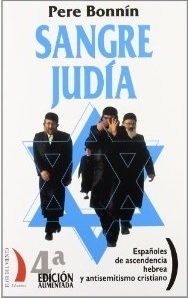 The book, written in a personal and accessible style and based on numerous sources, includes a review of basic Jewish concepts, Jewish history in Spain, and Christian Anti-Semitism. There is also a section that focuses on the reconciliation between the Church and Monarchy and the Jews, which took place in the 20th Century. 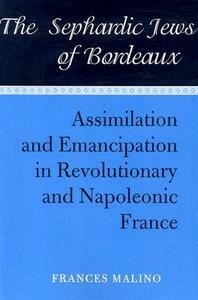 In this study, Bonnin deals in depth with the issue of surnames of Jewish origin. In the prologue, the author explains the rules he followed in the phonetic transcription of surnames of Hebrew origin that are mentioned in the book. The researcher cites the Jewish origin, sometimes recognized and other times controversial, of historically prominent figures (like Cristobal Colon, Hernan Cortes, Miguel de Cervantes Saavedra and many others) and links between surnames of Jewish origin with some concepts in Judaism.. The book also includes an appendix with more than three thousands surnames "suspected" of being Jewish, because they appear in censuses of the Jewish communities and on the Inquisitorial lists of suspected practitioners of Judaism, as well as in other sources. In the chapter "Una historia de desencuentro", the author elaborates on surnames of Jewish origin of the royalty, nobility, artistocracy, clergy, and also of writers, educators and university teachers during the Inquisition. Special attention is given to the "Chuetas" of Mallorca, the birthplace of the author. This register is from the manuscript record preserved in the Archives of the Spanish and Portuguese Jews' Congregation of London named "Sahar Asamaim" transcribed, translated and edited by the late R.D. Barnett, with the assistance of Alan Rose, I.D. Duque and others; There is also a supplement with a record of circumcisions 1679-1699, marriages 1679-1689 and some female births 1679-1699, compiled by Miriam Rodrigues-Pereira. The register includes surnames of those circumsized as well as the names of their Godfathers &amp; Godmothers. Around the 12th century, surnames started to become common in Iberia. In Spain, where Arab-Jewish influence was significant, these new names retained their old original structure, so that many of the Jewish surnames were of Hebrew derivation. Others were directly related to geographical locations and were acquired due to the forced wanderings caused by exile and persecution. Other family names were a result of conversion, when the family accepted the name of their Christian sponsor. In many cases, the Portuguese Jews bear surnames of pure Iberian/Christian origin. Many names have been changed in the course of migration from country to country. In yet other cases "aliases", or totally new names, were adopted due to fear of persecution by the Inquisition. • In 1466, king Alfonso V passed through a marketplace with a Moises Caçuto, a blacksmith from Alcácer-Ceguer, a Portuguese possession in Morocco • Renzo Toaff informs us that in 1639 Florence there were only "tre ebrei levantini, Aron Franco, David Cassuto et Elia Jesurun" (three levantine Jews, ...) • Several Cassuto were present in Leghorn, Amsterdam, Hamburg, Salonica, and Smyrna (Izmir).